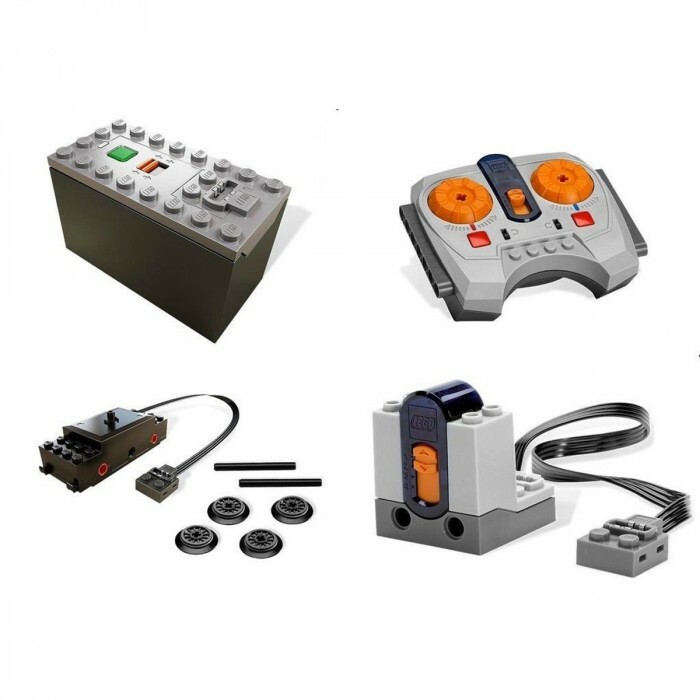 Brand New, LEGO Power Functions Train Motor, Battery Box, Remote Control & Receiver Set A great way to get your train moving! 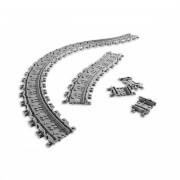 Everything you need to motorize the Horizon Express train set 10233 or the Maersk train set 10219, these are also the same parts found in the LEGO passenger train - 7938 and the LEGO cargo train - 7939 and can be used to power those sets and can be used to power many other LEGO train sets These are Genuine and brand new LEGO items and this sale includes everything pictured above; One Power Functions IR Speed Remote Control (requires 3 x AAA batteries - not included). One Power Functions black electric train motor with integrated PF attachment (two black technic axle, four black train wheels with technic axle hole and rubber friction band. One Power Functions Battery Box - Non-Rechargeable version (requires 6 x AAA batteries - not included). One Power Functions IR RX Receiver. These are guaranteed, brand new parts split from new LEGO sets, never played with, and handled only to photograph and package them. 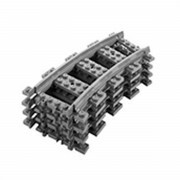 Please note that because of the way some parts and instructions are packaged in LEGO sets, some minor wearing and / or scratching (especially on larger parts) is inevitable.